The Nassau Guardian editorial of Wednesday, August 10, 2011 suggests that it’s time Western governments roll back the welfare State and rethink the role of government. Bahamians should consider this good advice very carefully before moving further down the road toward socialized medicine. When society demands something for nothing politicians are always at the ready to promise they can deliver it. But, as debt is piled on to pay for the shortfalls created by all the largesse of welfare programs and failed government policies, future generations will be required to settle the tab with higher taxes and/or less benefits. Will it be necessary for The Bahamas to face its ever increasing debt load as Greece has, or will the political class begin the painful process of fiscal and monetary reform in time to avoid these drastic measurers? 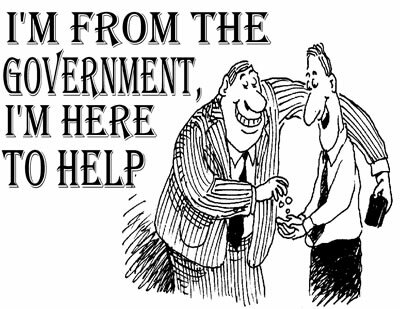 When governments provide the wrong incentives by creating a welfare state, the individual’s will to succeed dissipates and many are left dependent on a political savior. However, for those requiring assistance Mr. John Couretas of the Acton Institute suggests protecting the individuals not the programs. Such “protection” does not require millions of taxpayer dollars. It requires policies that allow a “free and flourishing society” where “creativity and entrepreneurship are rewarded”. Adam Smith (1723-1790), the father of economics, first published "An Enquiry into the Nature and Causes of the Wealth of Nations" in 1776 when poverty seemed to be humanities fate. But his insight showed that society did not need to be controlled by kings and ministers for wealth to grow. A competitive and open market without coercion, but free exchange, would be better for the poor and help people to lift themselves out of poverty. Yes, examining the role of government and the damage done by the welfare state is crucial, and the Classical Liberal thinkers like Adam Smith, Ludwig von Mises, F.A. Hayek, Milton Friedman and others provide the insight to help The Bahamas move away from the unintended consequences of public policies that harm more people than they help.